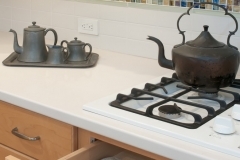 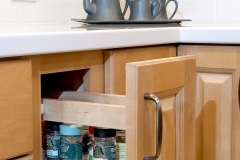 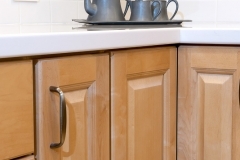 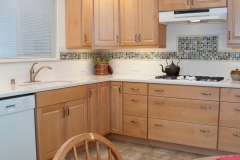 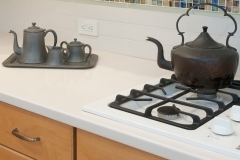 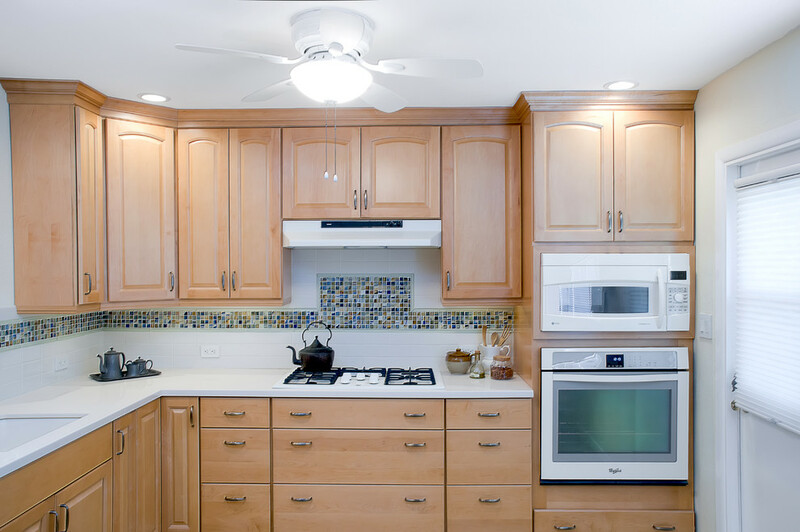 The kitchen was used for many generations and was in need of an update. 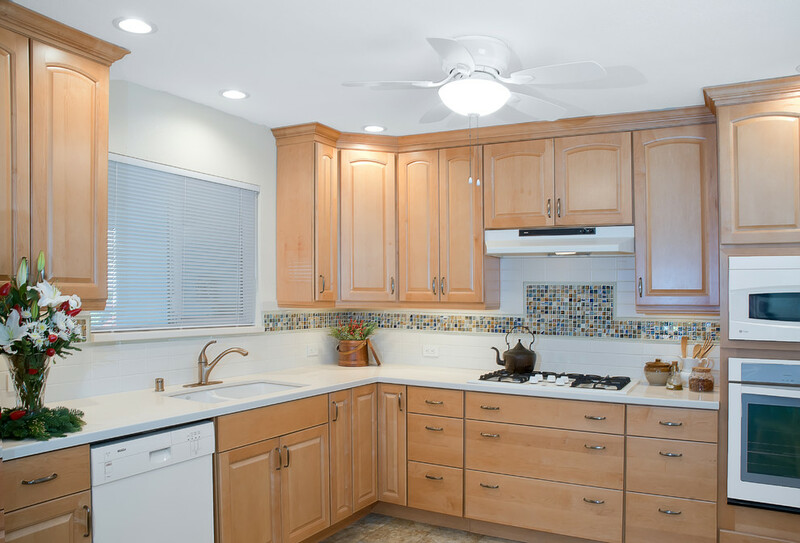 Light, bright and airy were the intentions of the owner. CairnsCraft was the construction company that worked closely with the designer to bring the project to fruition. 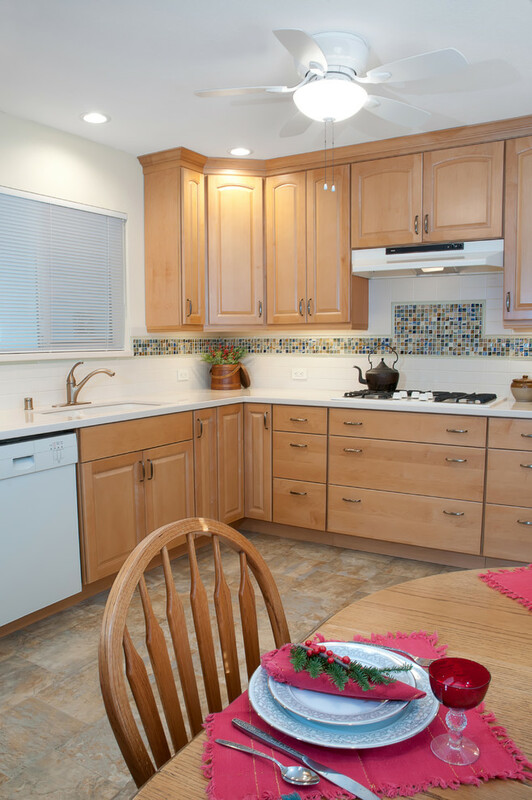 From demolition to completion, CairnCraft’s took immense care in every construction detail. 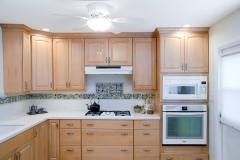 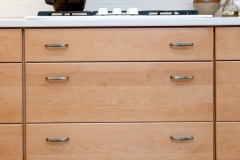 Wallpaper and cabinet removal was replaced by a light and airy paint palette and soft maple cabinets. 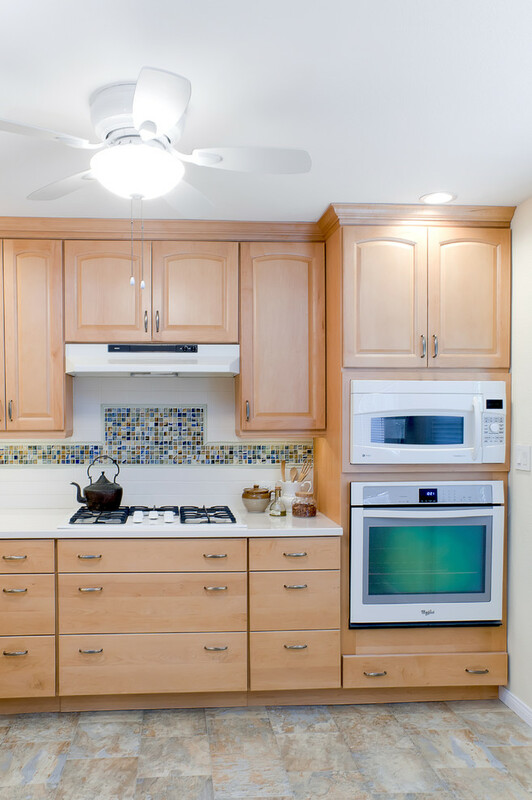 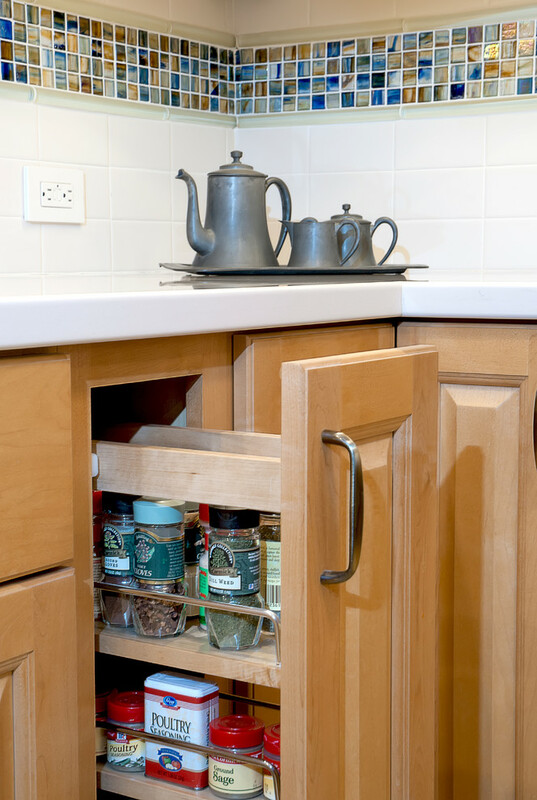 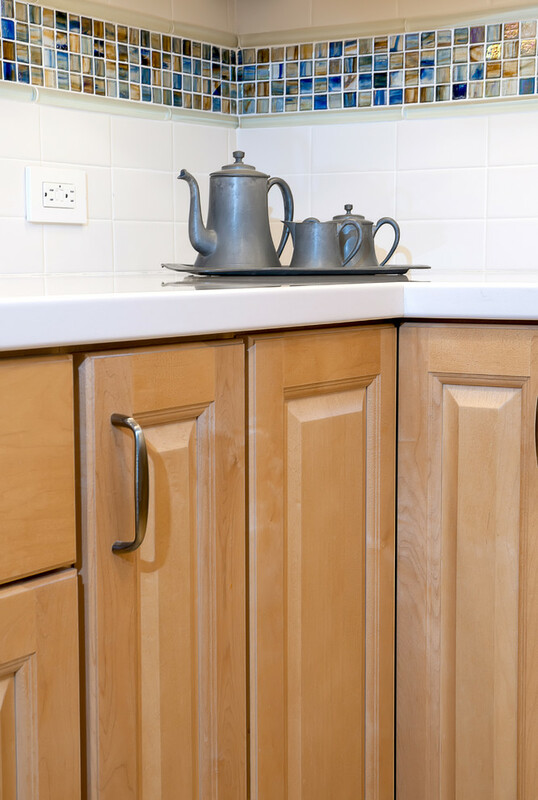 State-of-the-art appliances gave the finishing touches to the new kitchen. 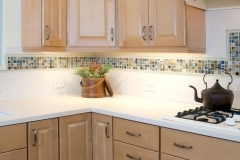 In addition, quartz counter tops complemented the white subway tile on the back splash. 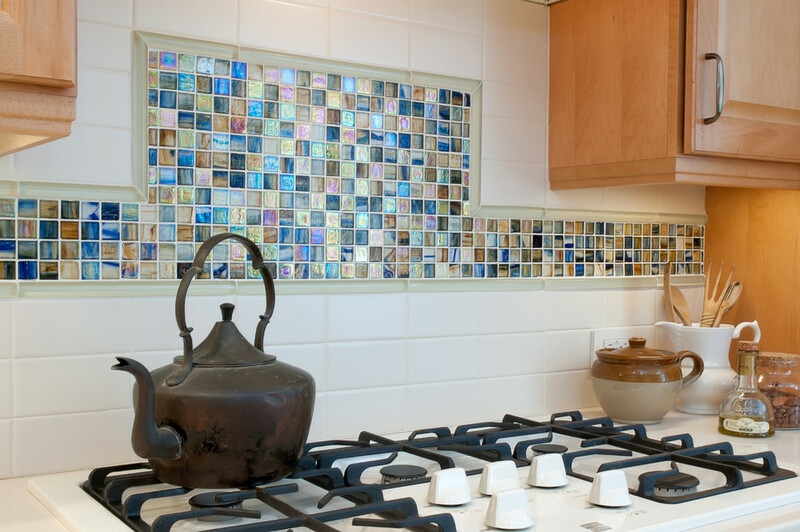 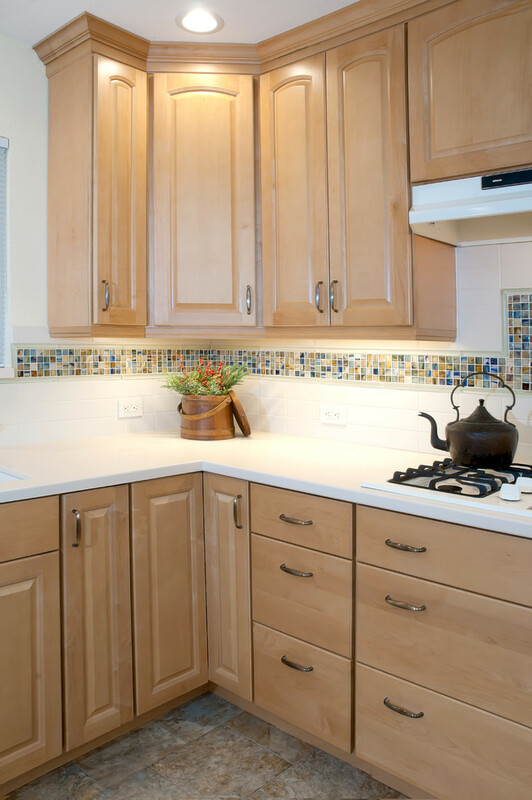 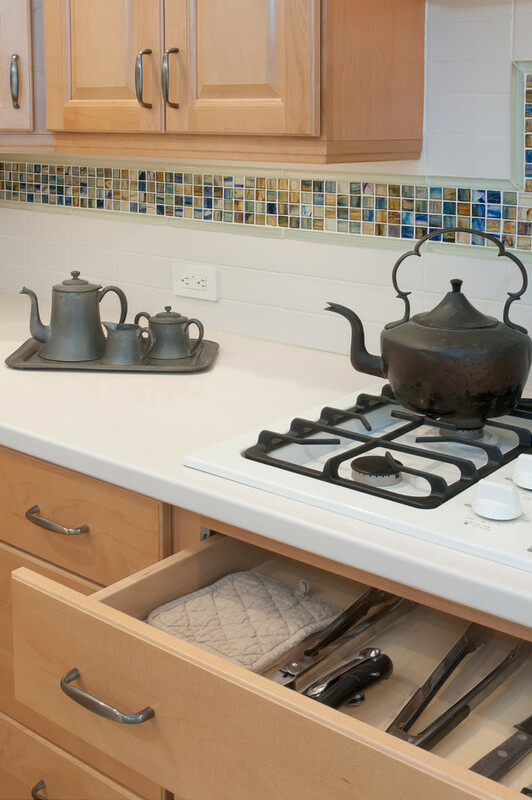 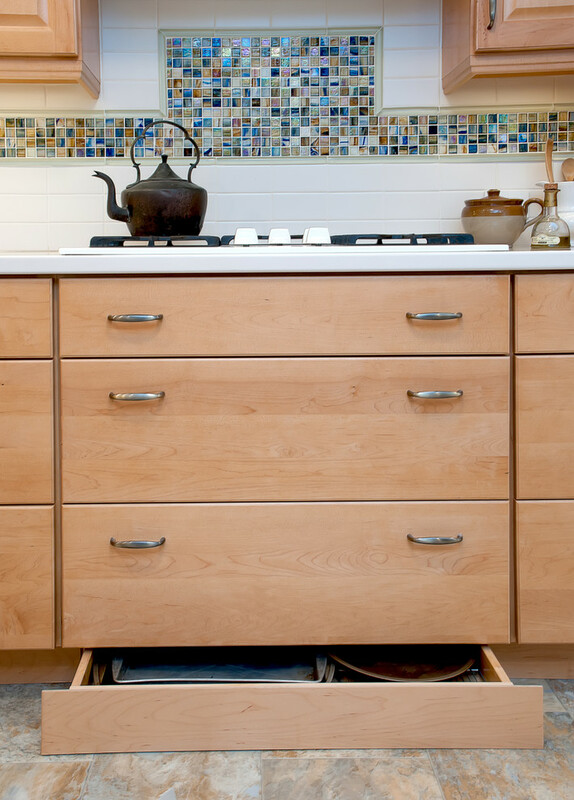 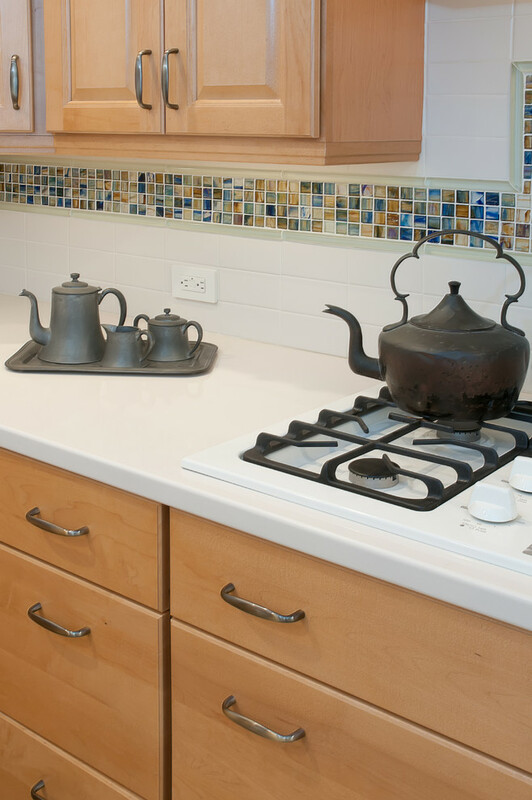 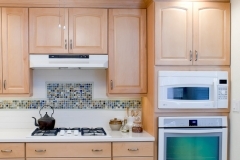 Lastly, the multi-colored glass mosaic tile brought an artistic whimsy to the kitchen.